This peak has a rather nice trail that makes a loop. 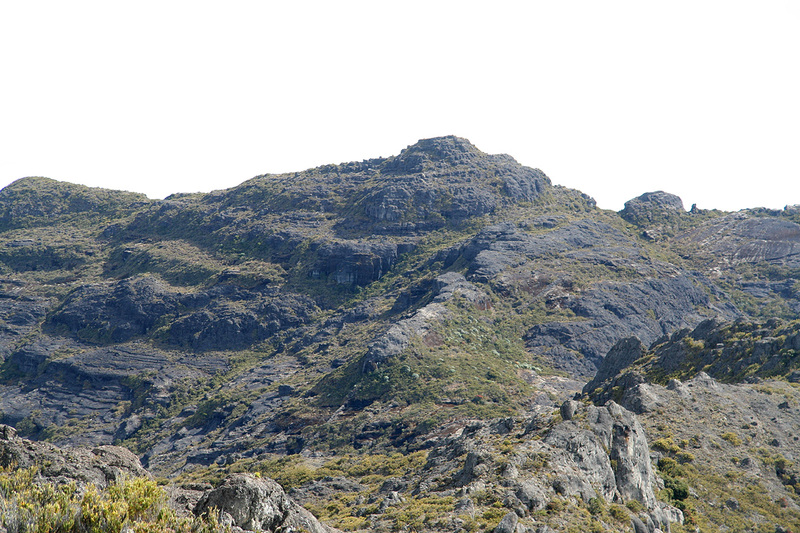 One can descend directly to the creek from the Chirripo mountain hut, then climb past the rock formations called the Crestones before reaching the highest point. Alternatively, one may take the Chirripo trail until the T-fork where the Chirripo trail heads left and the Terbi trail forks right. This hike can be done in either direction. 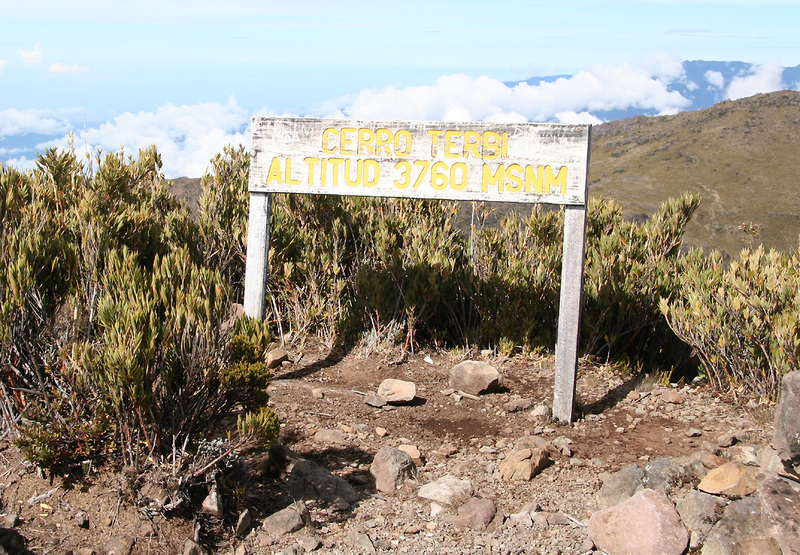 If climbing Pico Sureste (located north-east of Cerro Terbi), then a traverse that largely follows the high ridge is also possible. 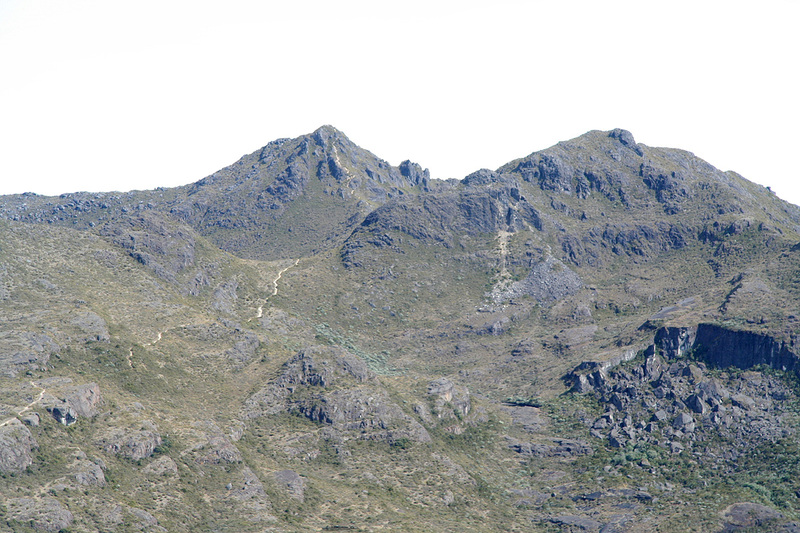 Cerro Terbi, as seen from Cerro Chirripo. 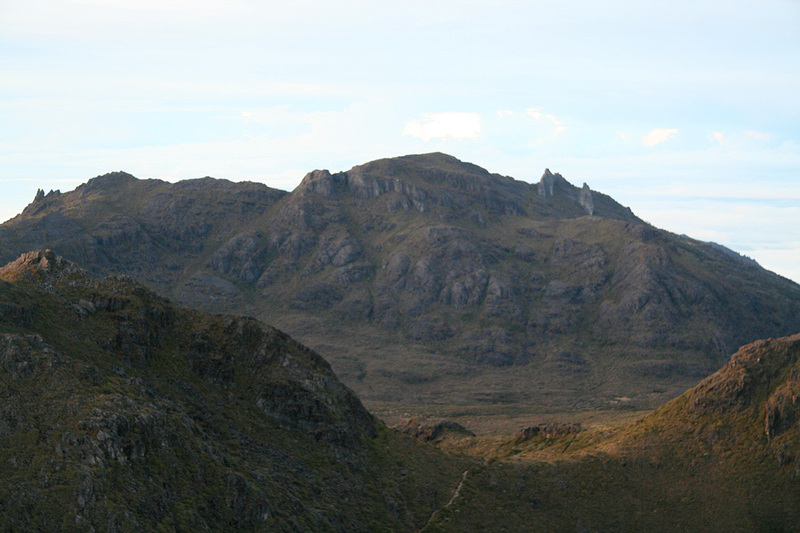 View from Cerro Terbi, Chirripo (left) and Piramide (right). The trail to Chirripo is very clear.